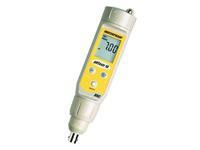 Waterproof tester, -1 – +15 pH, resolution 0.01 pH, microprocessor controlled, no automatic temperature compensation (ATC), 3 point calibration with auto buffer recognition, BNC connector to connect the most suitable pH probe. 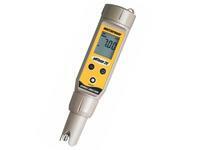 pH probe not included. Waterproof tester, -1 – +15 pH, resolution 0.1 pH, microprocessor controlled, automatic temperature compensation (ATC), 3 point calibration with auto buffer recognition, user-replaceable double junction sensor. Waterproof tester, -1 – +15 pH, resolution 0.01 pH, microprocessor controlled, automatic temperature compensation (ATC), 3 point calibration with auto buffer recognition, user-replaceable double junction sensor. 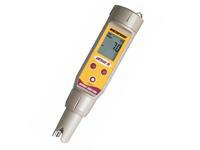 Waterproof tester, -1 – +15 pH, resolution 0.01 pH, temperature display, microprocessor controlled, automatic temperature compensation (ATC), 3 point calibration with auto buffer recognition, user-replaceable double junction sensor; temperature display.